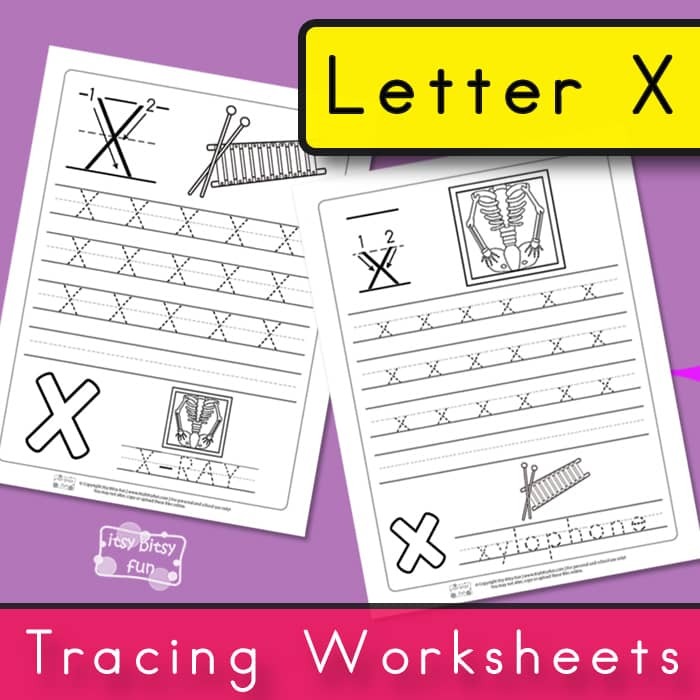 Have your kindergarteners or preschoolers practice writing the letter X with this set of Letter X Tracing Worksheets. 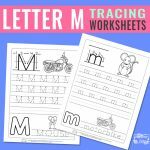 They are now almost finished with their tracing worksheets, only a few letters left. 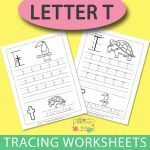 X can lead you to hidden treasures and these letter X tracing worksheets will lead your kids or students to confidently writing their letter X on their own. 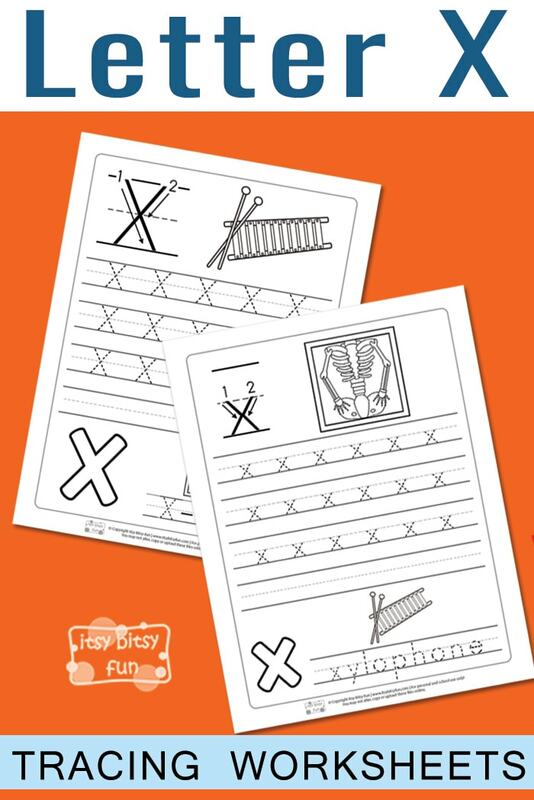 As with other sets of our single letter worksheets these alphabet worksheets come in a set of two. The focus of the first page is all on practicing the uppercase letter X. 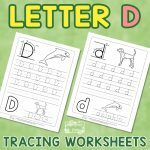 Because we want to help your kids or students master the letter, there is a guide with arrows showing them how to write down the letter. 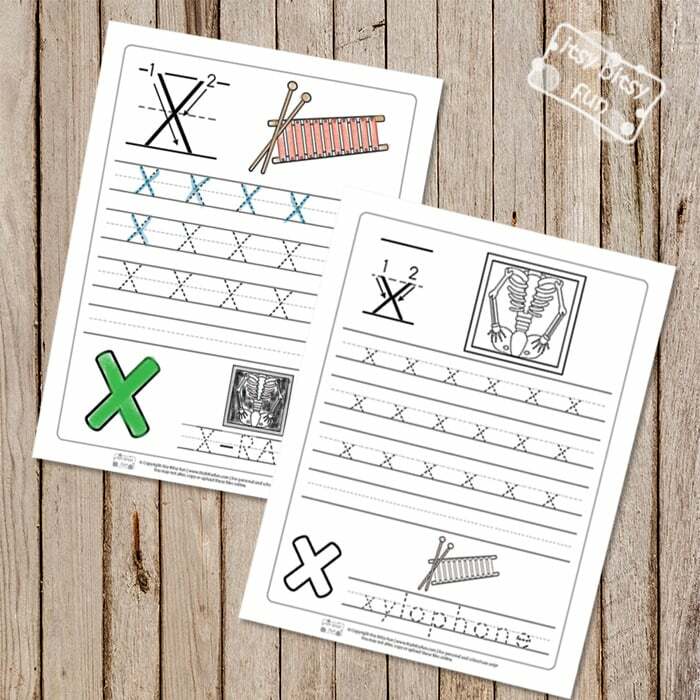 With 3 rows of tracing practice, they will get just enough practice to give writing the letter X on their own a try on the last, blank row. To break the tracing exercise there is also a small coloring image included. For the uppercase letter X, there is a xylophone to color in. To mix things up a bit, there is also the word X-ray to trace along with another small image to color in. Continue to the second page, where the focus is all on learning how to write down the lowercase letter X. 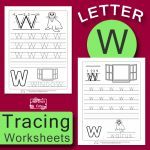 As with the first one, your kids or students have 3 rows of lowercase letter X to trace and space to practice writing the letter on their own. A small coloring page with x-ray is also included. On the bottom of the page, there is the word xylophone to trace and an image to color. Do laminate these worksheets if you intend to use them in the classroom so you can use them over and over again. Working with dry erase markers can be fun for the kids and will make repeating the tracing practice if needed, easier. 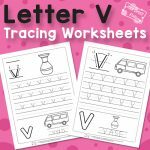 Get your Letter X Tracing Worksheets here.